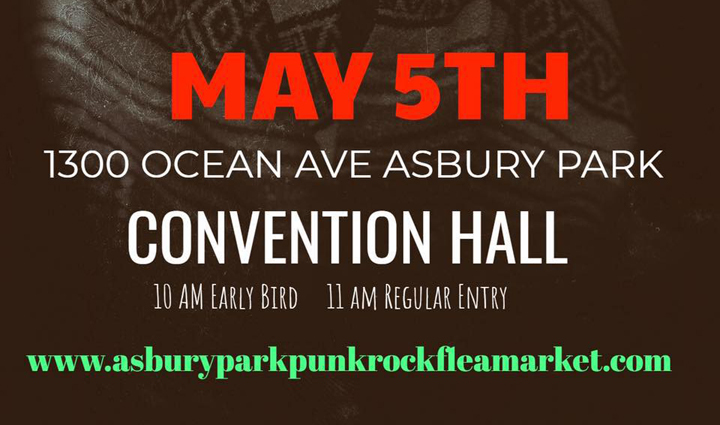 Weird NJ will be joining in the fun for the first time this spring at the Asbury Park Punk Rock Flea Market, which takes over the iconic Convention Hall on May 5th. There will be a distinctively curated selection of vinyl, music equipment, vintage clothing, macabre artwork, handmade jewelry and other original creations from over 125 vendors. 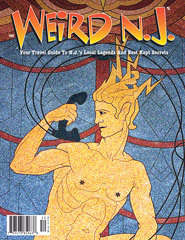 We’ll be bringing the brand new issue of Weird NJ, #52, and lots of other magazines, special issue, books and other weird stuff. The market takes place on the main floor of historic Convention Hall, with many unique and original vendors. Up a set of well-worn marble steps is the Overlook, where more cool stuff happens. Local bands will be showcased throughout the day, and raffles to shows at the Stone Pony and Wonder Bar are drawn every hour. There is a fully stocked bar with vintage furniture for taking a time out, all in sight of the Atlantic Ocean. Location: The Asbury Park Punk Rock Flea Market is located in Convention Hall, on the mile long boardwalk at 1300 Ocean Avenue in Asbury Park. There is plenty of street parking. Easily accessible by train and bus – the NJ Transit stop is a few minutes walk from the Flea Market and has direct service to/from New York City. APPRFM has partnered with Lyft. 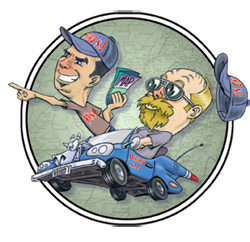 Download their app, use the code APPR, and get a $15 credit on your ride. How sweet is that? $10 Early bird admission, $5 after 11am. Kids under 10 are admitted free. Included with your admission to the APPRFM we have 4 killer bands performing in the Upstairs Overlook Bar at Convention Hall! ​Other Activities: We know the Punk Rock Flea Market is an awesome destination in and of itself, but there are other things to check out. Don’t worry we have you covered. We give you a wristband that allows you come and go as you please, so you can enjoy the acclaimed restaurants, unique shopping, specialty cocktail lounges, art galleries, pinball hall, and general people watching on the mile long boardwalk. And let’s not forget the world famous live music scene, with over 10 venues regularly hosting live music. Plus, we have the beach and ocean right outside our door. For more details check out the Asbury Park Punk Rock Flea Market on Facebook and join the Event! 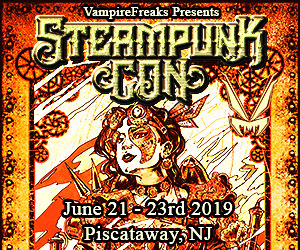 This entry was posted in Latest Weird News, Upcoming Events and tagged Asbury Park, bands, Convention Hall, flea market, issue signing, live music, punk rock. Bookmark the permalink.